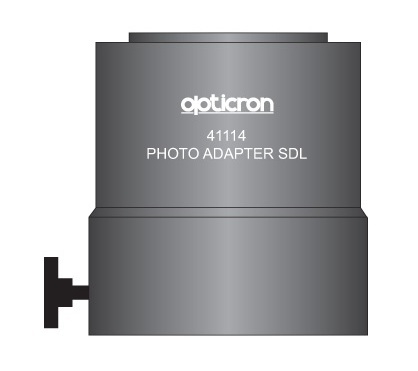 Connects to SDL 40935 and 40936 eyepieces. Equivalent focal lengths with HR, ES & GS scopes fitted with either the 40935 SDL or 40936 SDLv2 zoom eyepiece at its lowest magnification setting coupled to a 35mm SLR camera(1). Magnification factor 1.37x. (1)These are approximate figures based on 35mm SLR cameras. D-SLR cameras use different size image sensors compared to 35mm and so an equivalent telephoto conversion figure must be calculated separately. Requires suitable T2 adapter depending on the type of Camera that is being mounted.